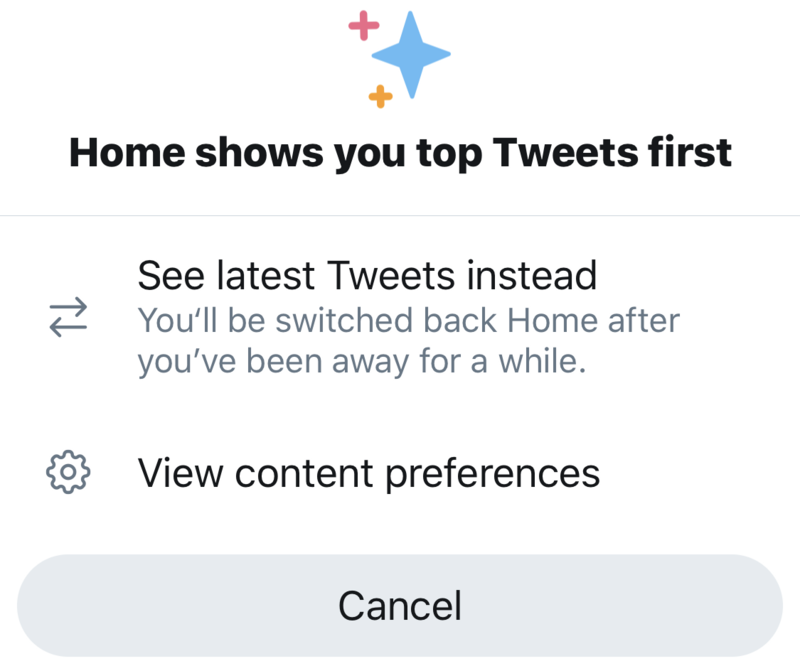 Twitter is now borderline unusable. Recently a tiny popup on my iPhone let me know they were no longer showing me the most recent tweets of the people I follow. Instead they would show me tweets of their choice. Twitter has a new algorithm where they control what you see. That sounded awful. Although they defaulted me to using the new algorithm, I was able to change back to reverse chronological. I thought everyone was OK. The top tweet is not the kind of thing I want on my feed. I wondered: who do I follow who would retweet that? I might want to unfollow them because we have different tastes. But the answer is: no one. It's kind of like the people you follow are your Twitter family, and Twitter now shows you tweets from uncles, cousins, and brothers-in-law. But it's not just any tweets from you extended Twitter family you didn't ask for and can't get rid of, it's the ones that biased, left-wing Twitter wants you to see.